Bears fans across the globe are now aware that former Chicago Bears defensive coordinator Buddy Ryan has passed away. Ryan was 85 years. Ryan was famous for many things football related but he may be most famous for being the architect and the guru of the Bear’s famed 46 defense which ran rampant during the 1985-1986 season earning the Bears a 15-1 record and a victorious trip to Super Bowl 20. Anyone who remembers that magical season will remember the cast of characters that the team had, it’s fearsome and ferocious defense and the personalities, including Ryan’s, that were a critical part of the team. Ryan’s accomplishments weren’t just relegated to the Chicago Bears. He was a coordinator and head coach with other teams in the NFL and wherever he went teams and their defensive players seemed to do well. His defensive techniques, while not as popular today as they were back in the early to mid-1980’s, were very effective and caused opposing offenses some problems. He came to the Bears in 1978 after a stint with the Minnesota Vikings. He was hired by George Halas himself and Halas felt that Ryan could bring a spark to the Bears defense. Ryan’s newly formed defense was named the 46 defense after Bear’s safety Doug Plank who was there when Ryan was there. The defense underwent a little development early on in its young life and finally came to the “top of the NFL” in 1985. During the period between the time Ryan was hired until the time his defense took the NFL by storm, the Bears went from head coach Neill Armstrong to Mike Ditka. 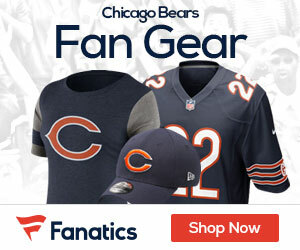 As Ditka was being hired, several of the Bear’s players went to Halas and begged him to retain Ryan. Halas listened to their demands and retained the defensive coordinator. The retention of Ryan may have been what started the obvious tension between he and during the time that was very easy to see. Despite the feud, Ditka put Ryan in charge of the defense, fully, and left him to do his thing. That was probably the best thing that could have happened in hindsight. If Ditka would have meddled in the affairs of the defense they might not have been as good a unit as it ended up being. The 46 defense took the NFL by storm in 1985 shutting down opponents, creating tons of turnovers and wreaking havoc all across the league. The only stumbling block for the defense that year came when Chicago faced the Miami Dolphins on Monday Night Football. The Dolphins found a way to beat the Bear’s defense (38-24) putting to an end what should have been an undefeated season for Chicago with a mark on a near perfect record. The loss didn’t matter though as the Ryan-led defense shut opponents down the rest of the season and in the playoffs (where they allowed teams to score just ten total points in three games) as they rolled to a victory in Super Bowl 20. So does Ryan deserve the lion share of the credit for the Bears run to the Super Bowl? Anyone who saw what happened that season can be a testament to the fact that it was the Bear’s defense that carried them through the season and on to the Super Bowl. Ryan, of course, had a big hand in that. After the Bears famed 1985-86 season, Ryan was hired to be the head coach for the Philadelphia Eagles. During his tenure there the Eagles made the playoffs three times but lost all three playoff games. Ryan was let go in 1991. Ryan earned himself another head coaching job in 1994 as the Arizona Cardinals brought him on. He was only with the team for two years. After that Ryan never coached again. There are a lot of different opinions and thoughts about Ryan. Ryan put together some tough defenses as we saw with the 85 Bears. He was a firecracker off the field wherever he went and this was evident in his relationship with Ditka while he was with the Bears. He inspired his players to do things on the field that were sometimes considered “dirty”. There was a “head-hunting” scandal or two while Ryan was coaching. Needless to say he made things interesting. It’s easy to say that without Ryan the Bears wouldn’t have been nearly as good nor, perhaps, would they have won the Super Bowl in the 1985-86 season. Sure, Ditka was the final piece in the puzzle to push the Bears forward but it was Ryan’s defense that put them over the top. He deserves a ton of credit for that season. The “divorce” between Ryan and the Bears could have been the factor that set the Bears back after their lone, highly successful season. 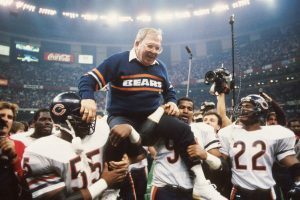 The Bears were equipped to keep winning for at least two or three more seasons and its thought, by some, that the departure of Ryan caused the defense to “slide” and therefore the Bears didn’t enjoy long term success. They should have been a dynasty and they most likely missed out on that, at least partially, because Ryan left. Ryan leaves behind two sons who are NFL coaches. His son Rex is the head coach of the Buffalo Bills and his son Rob is also with the Bills. His legacy in the NFL will continue through his two sons. Ryan was a polarizing figure in the NFL. Whether it was his unique personality, the bounties that it’s been said he placed on players or the fact that his defenses were some of the best in league history, Ryan was a key part of the 1980’s and 1990’s in the league. Even though Ryan hadn’t coached since being let go from the Cardinals back in the 90’s, his presence could still be felt in the league. It could be felt through the different coaching staffs trying to come up with defensive schemes to mirror what Ryan was doing and it’s been felt through his two sons who are still coaching in the NFL. Even though he was long gone from the NFL prior to his passing, he will definitely be missed. Ryan was laid to rest in Lawrenceburg, Kentucky. He passed away after a long illness at his ranch in Shelbyville, Kentucky. He had had cancer and a stroke and was working through those health issues. Share your memories of Ryan in the comments section below. It would be great to hear more stories about the man that helped to create the best defense in football history.